OMA Councillors and Members meeting in Ottawa, August 2018. In January, we're highlighting some of the benefits and resources you have access to as an OMA Member! The Ontario Museum Association maintains a listserv called "onmuse-l". This listserv focuses on discussions and information of interest to museum professionals, students and others concerned with art, heritage and culture in Ontario.This listserv is a method for members to network, share and obtain information, and discuss issues in Ontario. All you need to join is an email address. Browse OMA Corporate and Consultant members to find a provider for all kinds of museum products and services on the Services Directory! 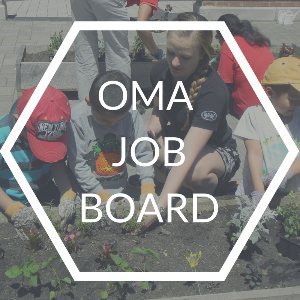 Over 40 positions are currently advertised on the OMA Job Board! See postings closing soon HERE. See all job postings HERE. The OMA advocates on behalf of members - we are stronger together! Recently, the OMA helped members respond to the changes in TODS signage prices, resulting in a price freeze for 2019 (read more HERE). 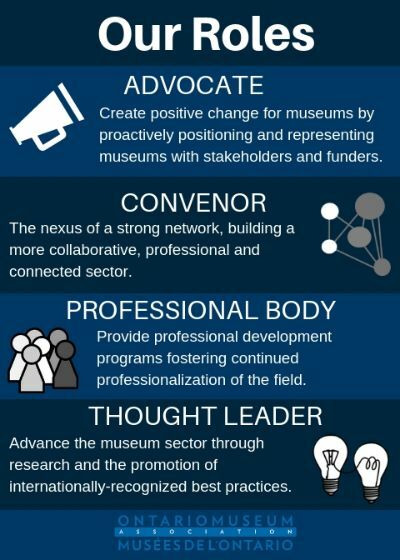 With your institution’s current information, we will be able to make a stronger case for support of museums by governments and funders. Take the Museum Impact SurveyHERE. Do you have an issue facing your museum? The OMA may be able to help. Contact Us. Login with your Individual Membership and click on My Courses to register. 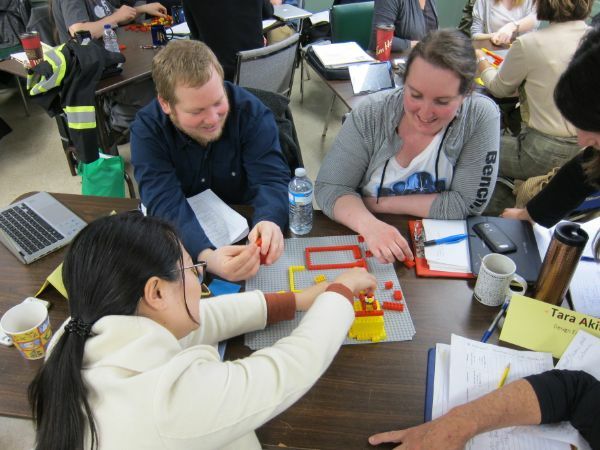 Find out more about the Certificate in Museum Studies program.